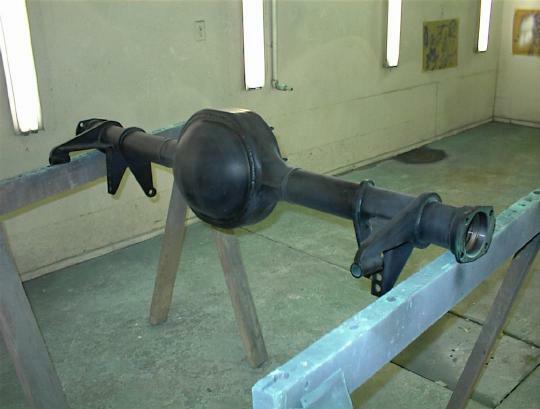 Here's a shot of the rear end housing just after the first coats of DP primer. It's a 9" Ford from Currie. All brackets were tig welded in a jig to ensure straightness. From here we have some Bondo work to do, then some filler primer.